The Seahawks announced Tuesday that Kenny Easley will have his jersey number 45 retired at halftime of Sunday's game against the Colts. 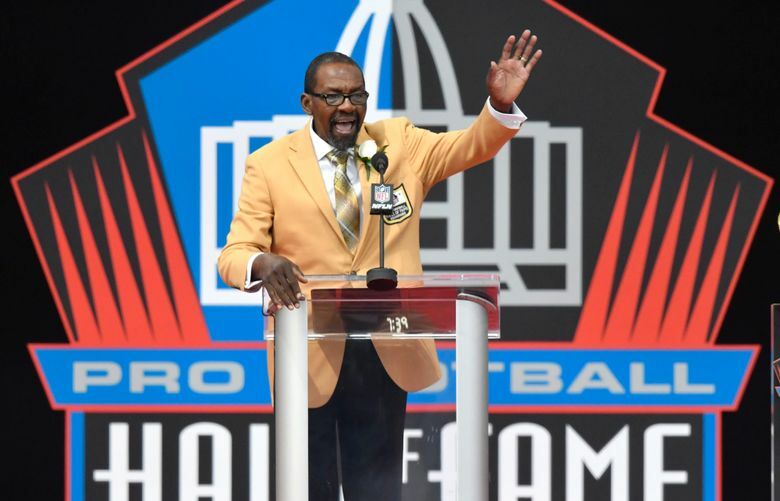 In August, Kenny Easley became the fourth player in Seahawks history who spent his entire career with the team to be inducted into the Pro Football Hall of Fame. Sunday at halftime of the Seahawks’ game against the Colts, Easley will become the fourth player to have his jersey number (45) retired by the team. And in doing so, his jersey will join in the rafters of CenturyLink Field those of the three other players who spent their entire careers with Seattle who are also in the Hall — receiver Steve Largent (80), defensive tackle Cortez Kennedy (96) and left tackle Walter Jones (71) — as well as the jersey number 12, retired in honor of the team’s fans. Easley told the team’s website that he had anticipated that someday his jersey would be retired but that he is glad to see the day finally arrive. “I expected it to happen, but I’m very happy about that,” Easley told Seahawks.com “Over the years, I’ve seen the number 45 out there a few times, though not that much. I’m glad that that’s going to take place and I can be a part of that ceremony on October 1. I’m looking forward to it. Easley played safety for the Seahawks from 1981-87. He was elected to the Hall in February after being nominated by the Senior Committee. He was the 1984 Associated Press Defensive Player of the Year (which is the award officially recognized by the NFL) and an AP All-Pro first team pick every season from 1983-85. Taken in the first round out of UCLA in 1981 with the number four overall pick, Easley remains fourth in team history in interceptions with 32 and third in interception return yards with 538. He set or tied team records that still stand with 10 interceptions in 1984 and three in a single game that year against the Chargers. Easley was selected for the team’s Ring of Honor in 2002.